Every adventure is its own mission. 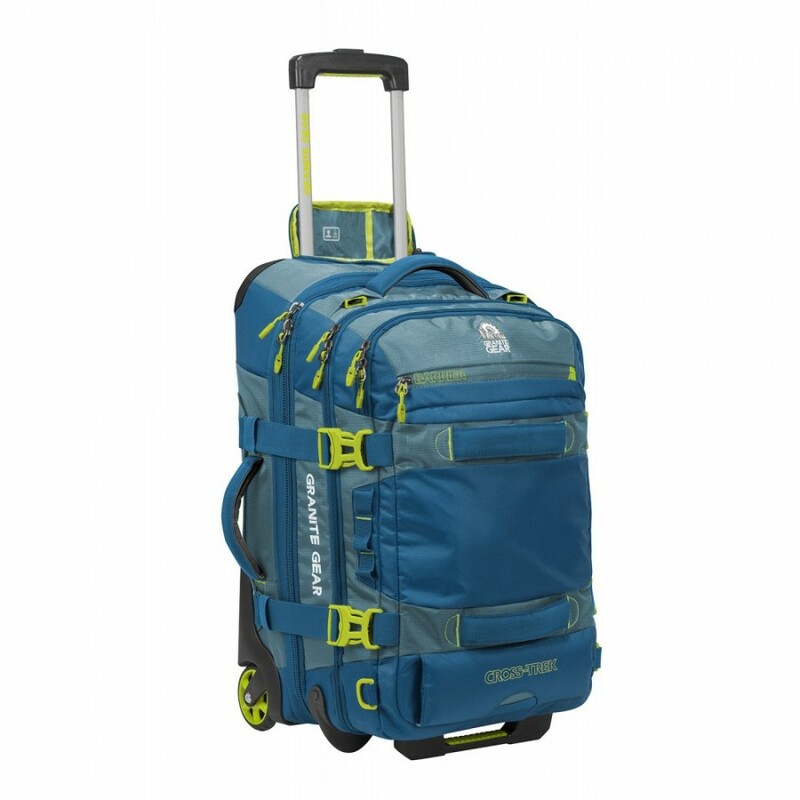 As such, smart travelers rely on the best adventure travel luggage when the journey is about more than going from point A to B. 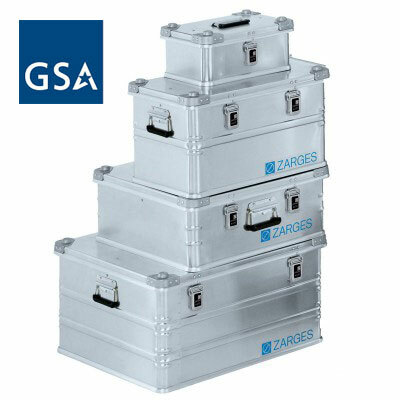 Solid travel luggage needs to keep pace, allowing you to adapt to fluid weather, modes of transportation and security conditions. In pursuit of in-motion perfection, Active Junky tested three luggage categories that prevail in the outdoor world: carry-ons, camera packs and cargo bags. 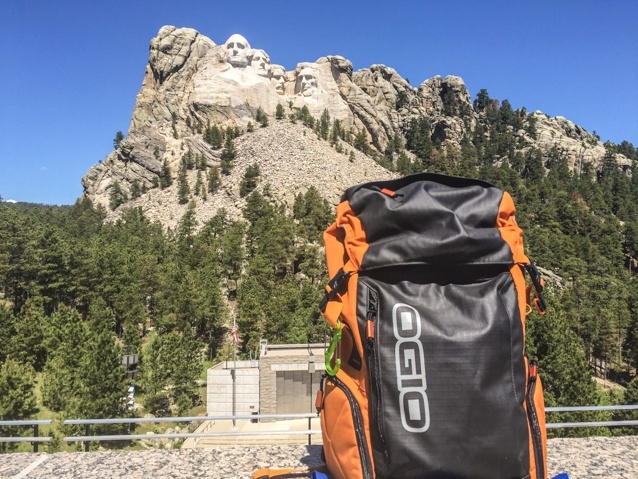 To be included in the Adventure Travel Luggage Buyer’s Guide, these picks had to withstand multiple unforgiving trips across the United States and through South America. Check out our top picks, and don’t forget to sign up for Active Junky for exclusive deals and cashback on your gear purchases. 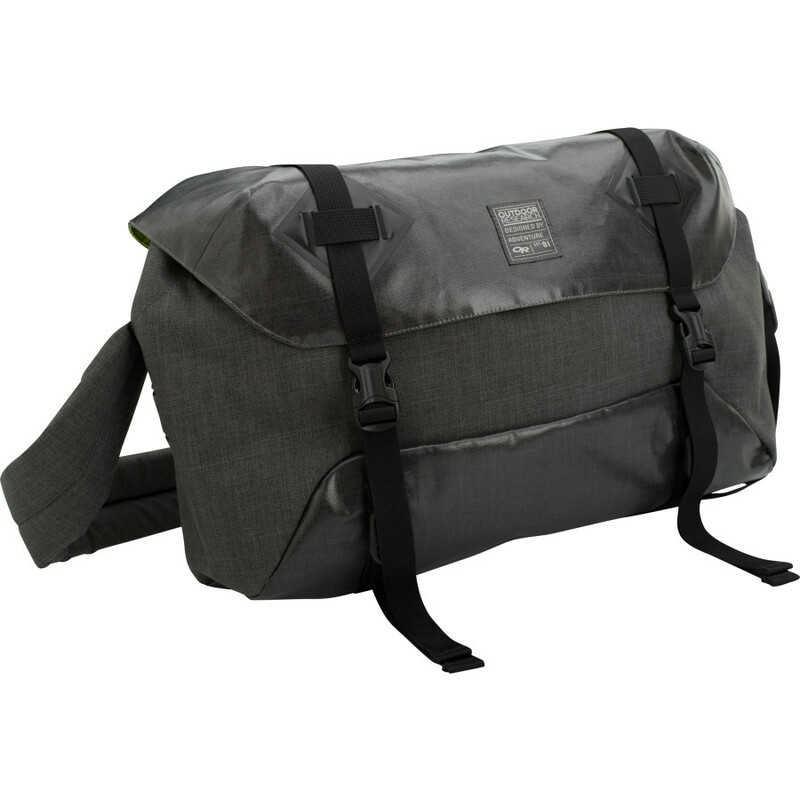 Outdoor Research Rangefinder Messenger Bag $69.30 - $87.30 Confession time. This one’s not an obvious choice for urban and international travel as the look defies mainstream fashion. Once deployed with in-flight essentials and travel documents, the 18L Rangefinder set the course for success on the way to Santiago, Chile. 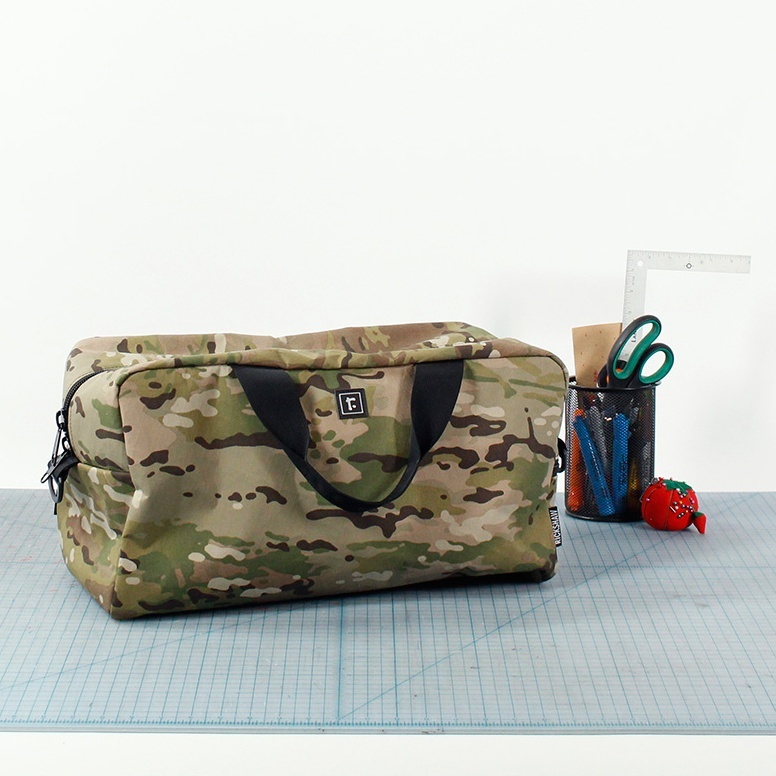 With or without a laptop, testers watched the bag shed precipitation and grime; props to weather-fighting fabric and zipper choices along with welded seams. Able to protect bulky, sharp and odd-sized objects (including a portable bocce set, compact binoculars and a stash of beef jerky), Rangefinder’s drawcord cinch top took charge from LA to Lima. Other pieces in this Outdoor Research collection combine utility with signature touches like faux leather patches. If travel is about pedaling, scrambling, paddling or patrolling streets infused with history, this 17L, PVC-free option needs serious consideration. 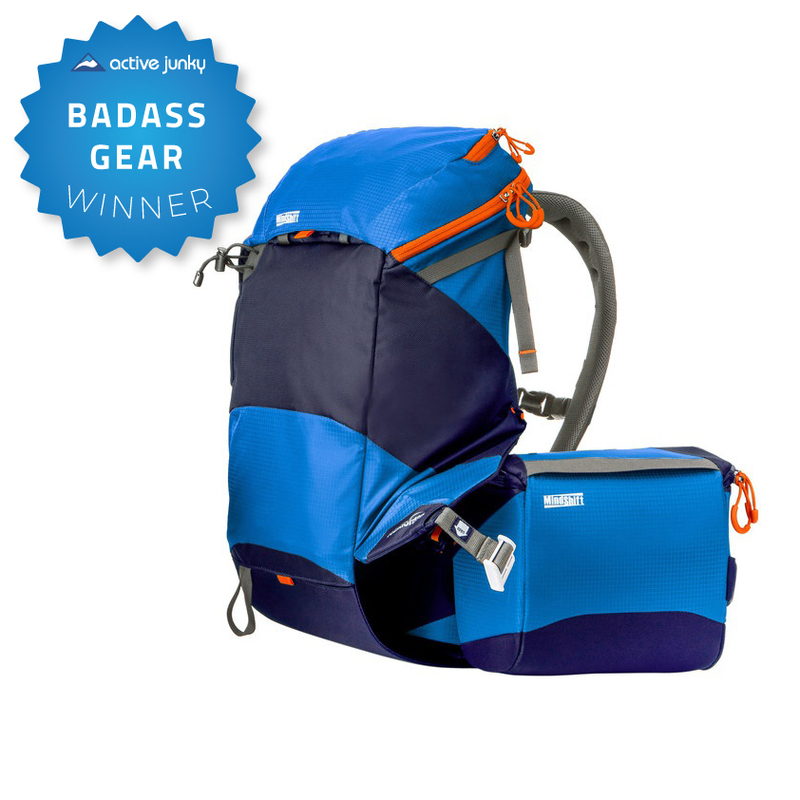 Active Junky awards bonus points for multi-activity, multi-season gear. Seal Line’s Urban crosses the line as both a worthy commuting and travel model. RF welded with QuickClip bike messenger-inspired closure hardware, Urban’s removable framesheet adds stability and protection from angular loads. Pop it out and the framesheet doubles as a rigid writing surface, cutting board or hitchhiking placard. Shoulder and sternum straps fit anticipated loads while the stowable waist belt means stability in motion. While not scuba-ready, there’s little that’ll stop Urban from prevailing when crowded streets or bad weather (including dust storms) strike. 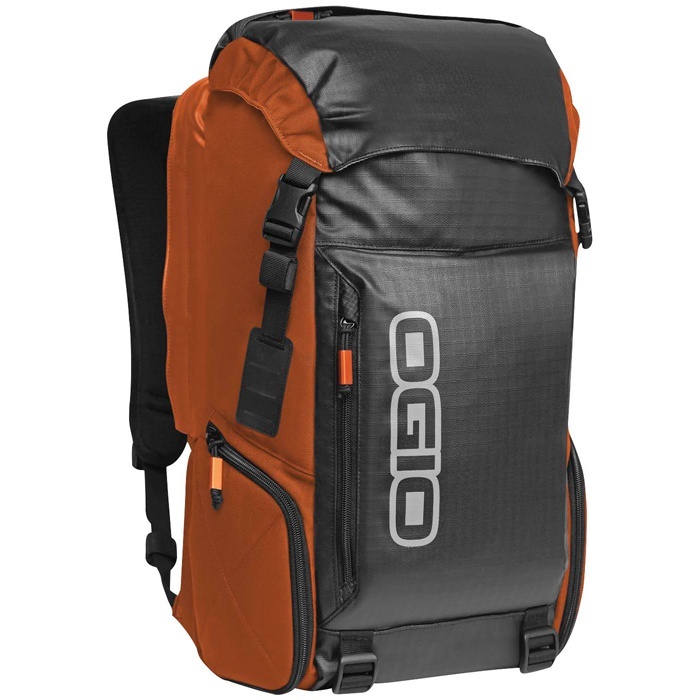 OGIO Throttle $87.30 - $87.30 Fitness, tennis and golf clubs flash the OGIO logo from Miami to Mumbai. Among the best at protecting a 15” laptop, Throttle guns it for abrasion resistance and carrying comfort. 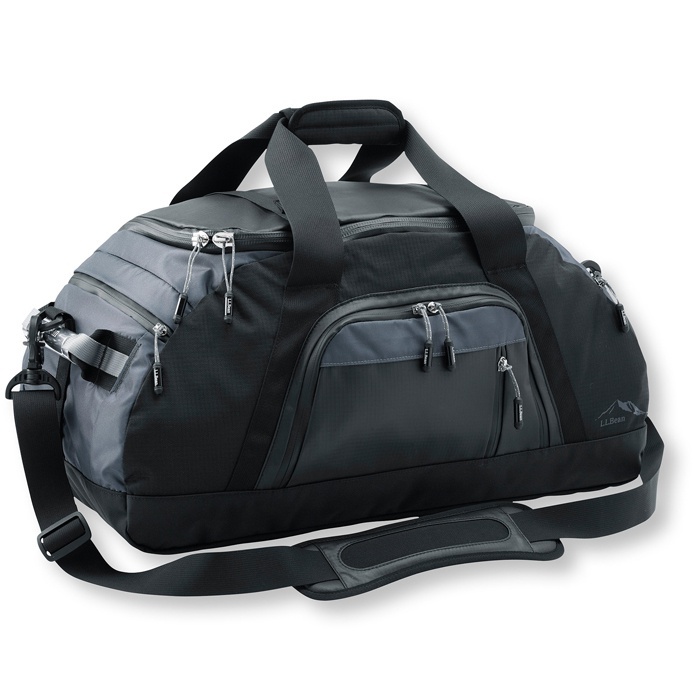 Bottom straps pump the volume past 28L while interior organizer features deal with the details. 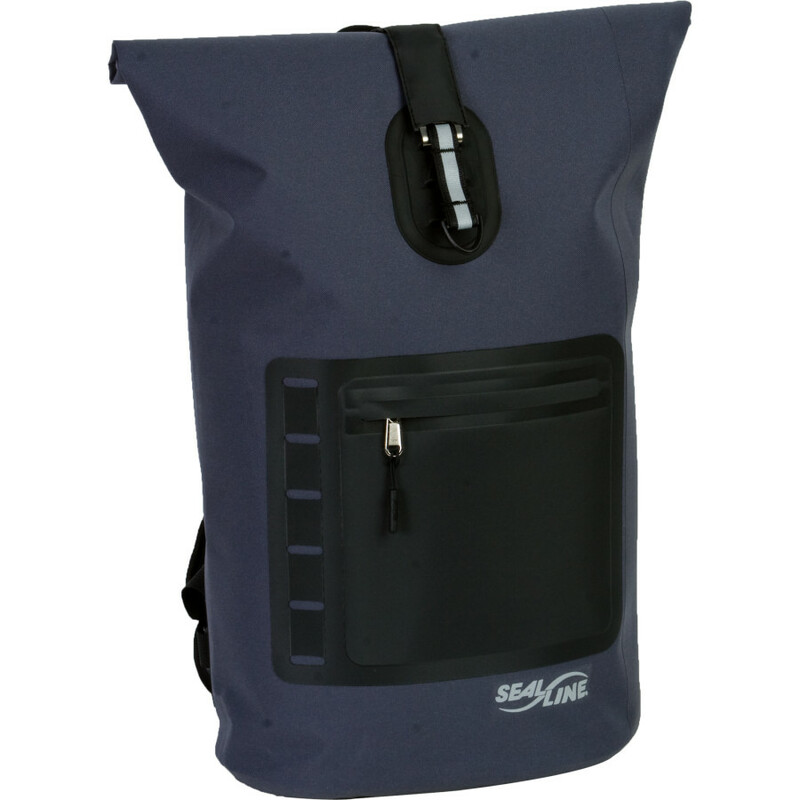 Testers valued the side zip-open water bottle pocket and favored the stay-flat front zippered stash pocket. Don’t walk past this one for intelligent on-the-run carrying – passport and/or pisco sour in hand. 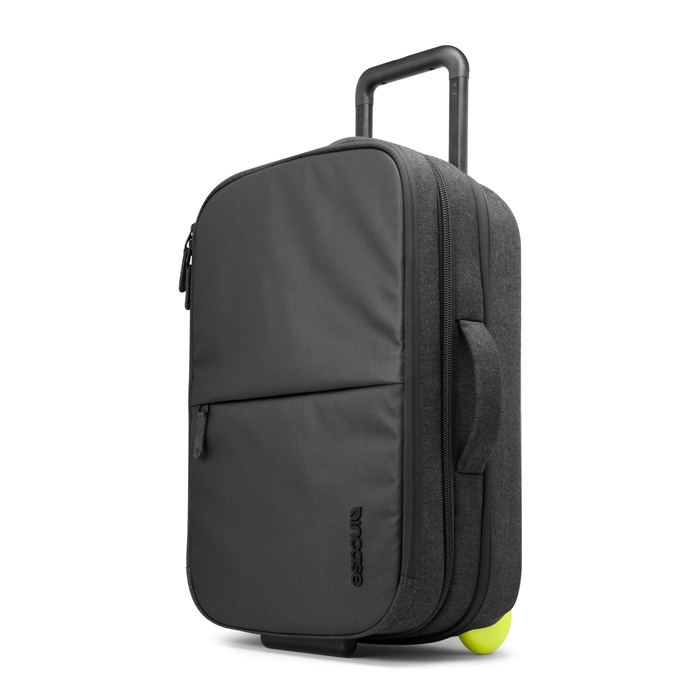 EO argues that there’s no reason to give up roller convenience in a carry-on. After a multi-stop push across America’s airways, Active Junky agrees, as this sleek model makes the miles pass quickly. The handy mesh connector, outer organizational pocket and plush laptop case turn an impact-fighting roller into a welcome companion. Elegant despite (or because of) the neon green wheels, EO attracted compliments based on looks but no unwanted TSA or cabin staff attention due to size. A triple-coated weather-resistant front panel held off Atlantic Ocean spray and splashing coffee while the expanded main compartment sucked in clothing like a Black Hole. Incase reworks the roller category and our testers were glad to extol its benefits. This hatchback-like pack carries heavier lenses and accessories in an extremely compact model with little non-usable space. 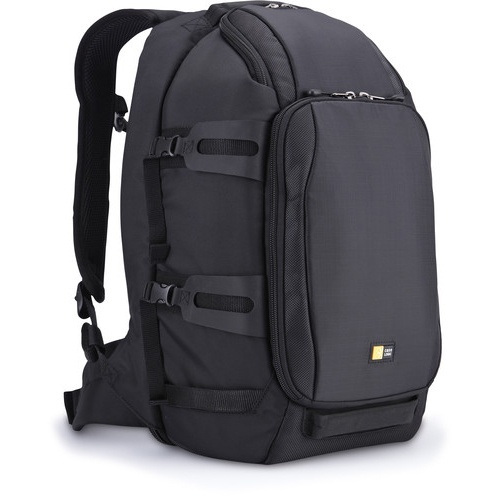 Testers favored the lightning access, top-opening compartment for camera body or complete compact cameras. The generous bottom compartment opens like a zipped clamshell; no fear of misplacing or dropping extra lenses or accessories with Luminosity. Side tripod attachment is rock solid as are the top grab handle, shoulder and sternum straps. The wide waistbelt is helpful even if overbuilt for anticipated loads. 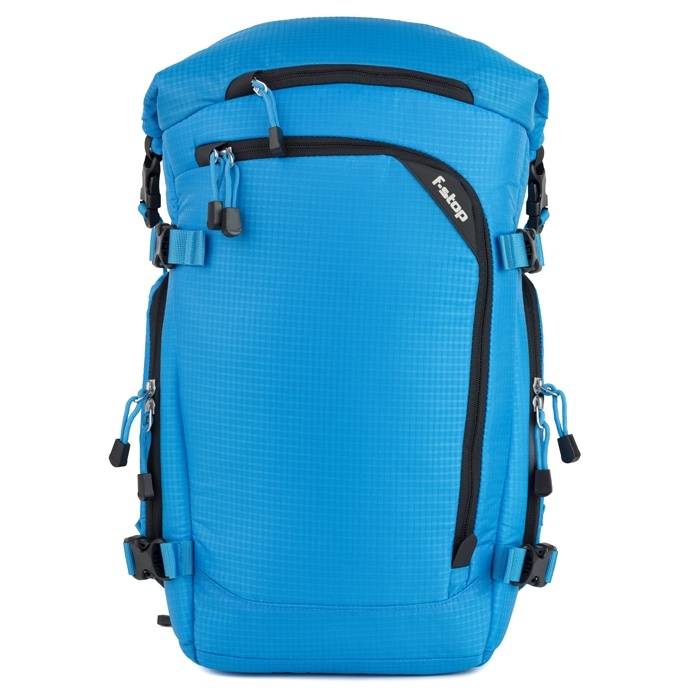 More hydration capacity and a see-through flap pocket are all that stand between this pack and stunning design insight. Once again, the crew in Golden, Colorado sells themselves short; you end up getting killer utility and value as a result. Designed by Boulder-based Andy Mann, Descent is on the up-and-up as a nearly total approach to adventure photography. Active Junky used the outer pocket for topo maps, then stuffed radio, snacks and windshell inside along with Sony camera and accessories (GoPro users will salivate at the possibilities). Exterior tactical webbing took on extension microphone and mini-pod duties. Personalize Descent, an ideal model for MTB shooting where the bike carries tools and hydration. Consider it your office, and then go find a million dollar view. If you’re a multicamera or long lens shooter, scope out the 25L Borealis. Best For: Self-supported sessions or using as a dedicated photo pack on longer trips. Don’t let the retro military surplus color throw you. Active Junky tossed this one into the mix for stealth utility and obvious style. 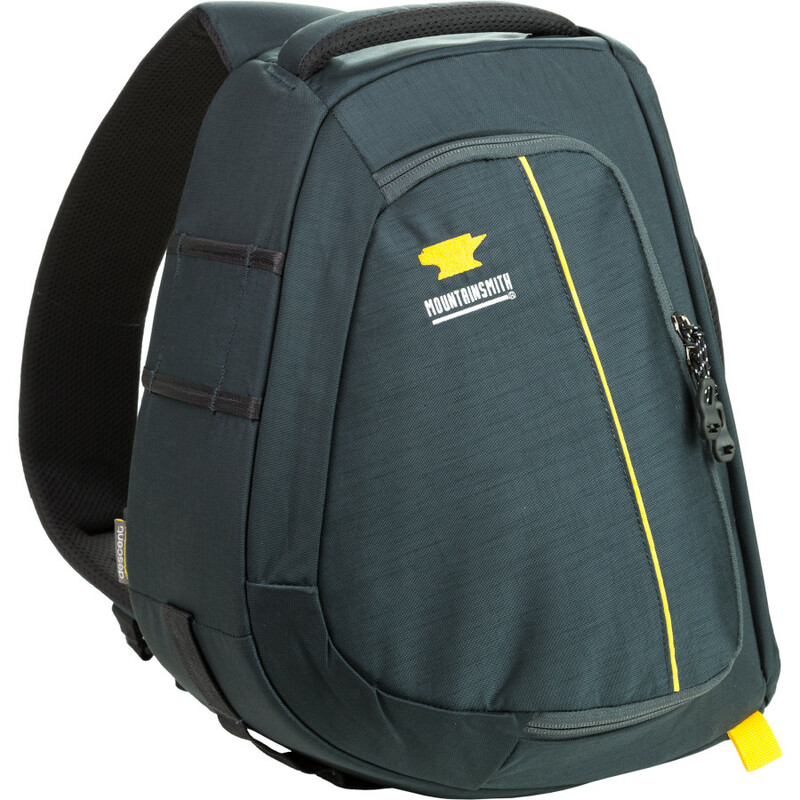 Every cubic inch earns its keep, both with bounteous interior storage and side pockets doubling as strap retainers. 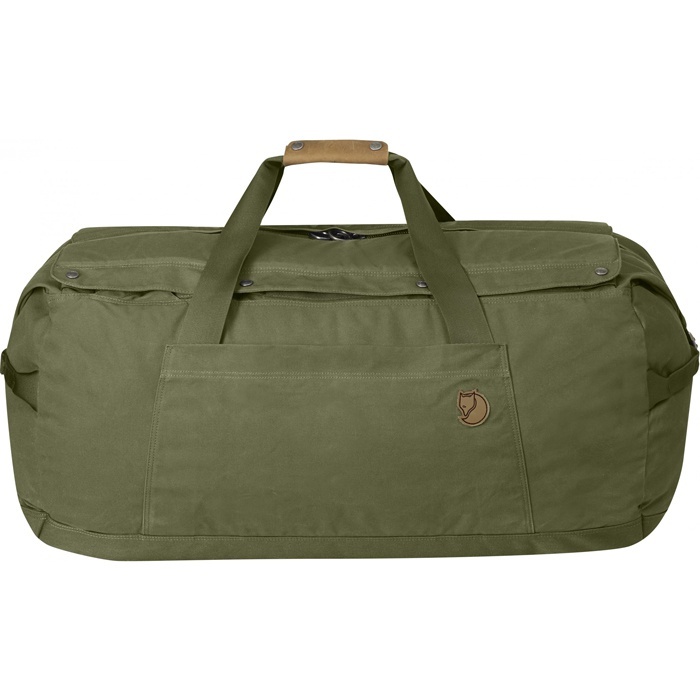 Unsnap top flaps to find hop-on, run-off shoulder straps capable at moderate packed weights; unlike many others, deployable straps are on the “clean” (top) side of the duffel. Fans of the brand’s G-1000 fabric recognize durability, while newcomers applaud the waterproof base. Testers challenged #6 with shrewd and outrageous packing scenarios, and, try as they might, Fjallraven always came out on top. Despite dragging, pummeling and overloading, Granite Gear delivered on recent South American testing trips; and that was even before leaving the house. Unlike many pieces evaluated in the last 24 months, Cross-Trek fought off abrasion and impact without appearing worse for wear. A kick plate and corner protectors helped the cause. When airline weight limits were pushed, Granite Gear shoved back as zip out shoulder straps, sternum strap and hip belt conquered stairs, escalators and unrollable surface conditions. Pockets and internal dividers proved useful as did smooth-spinning wheels. 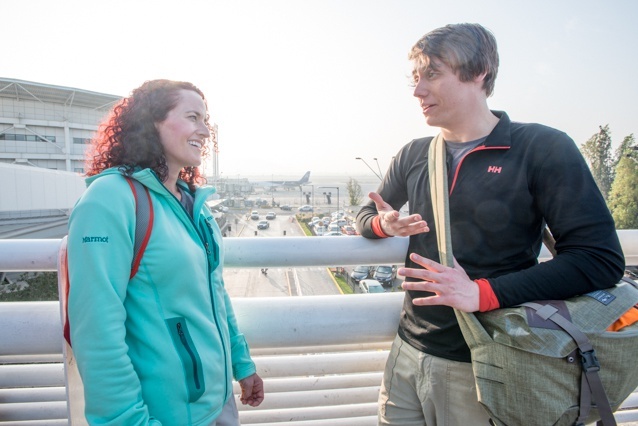 Testers couldn’t believe the easy price point for a high-capacity trip-maker backed by the brand’s irrefutable expedition credentials.